← To blog or not to blog…. Feeling a bit frisky today, so animal print is what I was seeking. I thought it only appropriate to have my first Daily Shoe-topia be the likes of D&G, so I gushed over this amazing pair of sky high, king-of-the-jungle heels. 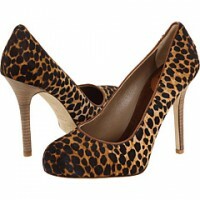 And I was even more excited to see that they were on sale at Zappos.com. But… as I continued to scour Zappos to find the shoes worthy of my first post, the shoe gods smiled upon me, offering up a more budget-friendly, and super chic pair by our dear friend Betsey Johnson. 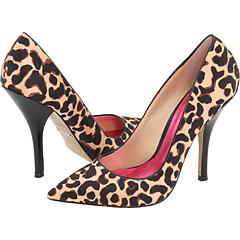 While the D&G heels above are on sale at Zappos for $349, Betsey blesses us with these coyly carnivorous heels for only $108. So for their kill-or-be-killed attitude (and have I mentioned how much I love the pink lining), I’m happy to declare Betsey Johnson Ardis as our first Daily Shoe-topia choice. Enjoy!